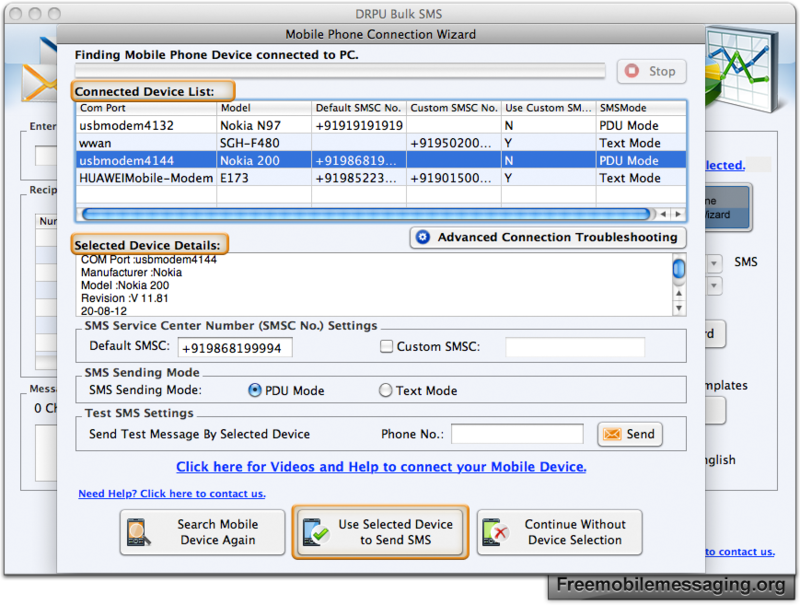 Screenshot showing list of connected device and details of selected device. 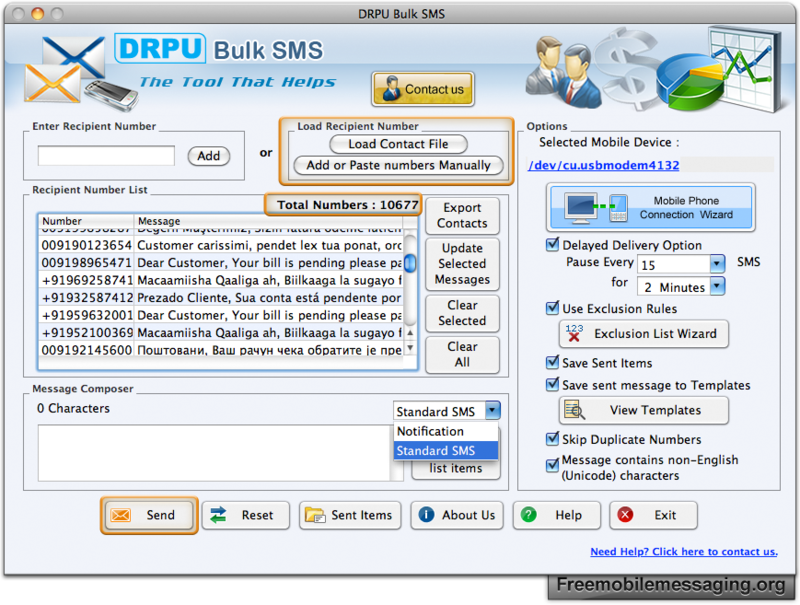 Load Contact number from file or place it manually. 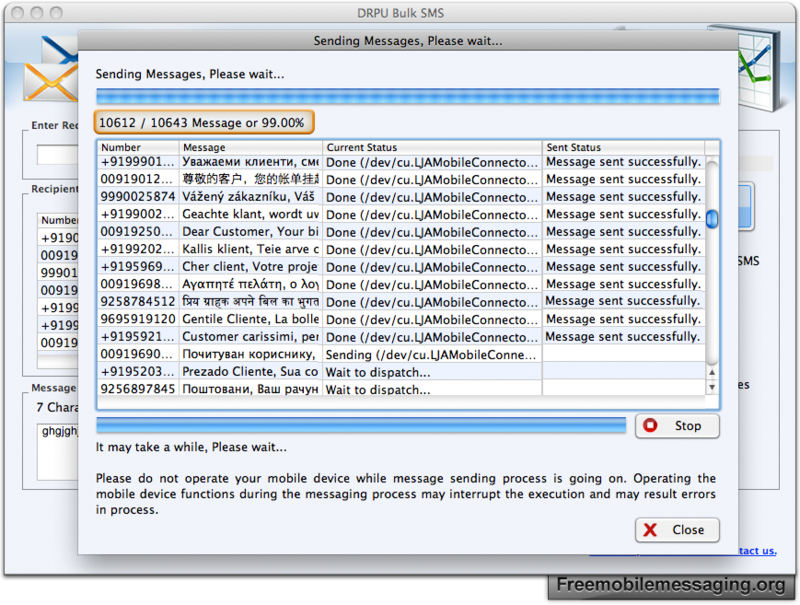 Status of messages sending process is displayed. 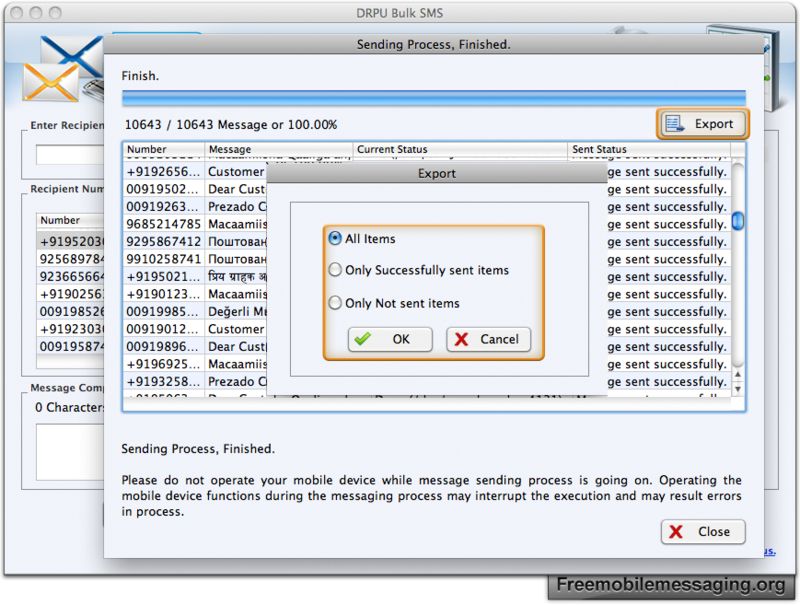 Export option will be enable at top right corner after sending messages to export sent messages.